Dedication. Contributors. Series Preface. Preface. Historical Perspective: Evolution of the Concept of Sigma Receptor. Sigma Receptors in the Central Nervous System and the Periphery. Structure-Activity Relationships and Evolution of Sigma Receptor Ligands (1976-present). Multiple Sigma Binding Sites in the Brain. Interaction of Sigma Receptors with Signal Transduction Pathways and Effects on Second Messengers. Recent Evidence for Endogenous Substance(s) for Sigma Receptors. Potential Therapeutic Application of Sigma Receptor Antagonists. Role of Sigma Receptors in Brain Mechanisms of Movement. Imaging Sigma Receptors and Cerebral Responses to Sigma Drugs. Effects of Cytochrome P-450 Ligands on the Binding of [3H]dextromethorphan and Sigma Ligands to Guinea Pig Brain. Putative Interactions Between Sigma Binding Sites and Neuropeptide Y. Role of Sigma Binding Sites in the Modulation of Endocrine and Immune Functions. The Sigma Receptor: Concluding Remarks/Future Vistas. Index. This is the 12th in the Neuroscience Perspectives Series. 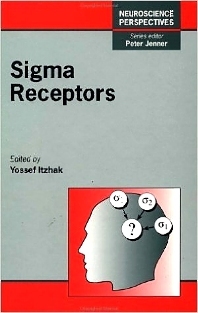 The existence of sigma receptors in the central nervous system has only relatively recently been established. In line with the aims of Neuroscience Perspectives, this volume will cover the historical background of the subject, together with the physiological, molecular biological and pharmacological aspects, with a discussion on the concept of sigma receptors subtypes and their postulated relevance for CNS disorders. University of Miami School of Medicine, Florida, U.S.A.